If you get stumped, try searching the website that the clue links to. 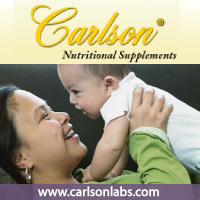 If you are still stumbed, just email us and we will give you a hint. There are a lot of prizes to give away. We will randomly giveaway the prizes among the people who answer all 10 correctly. Only one entry per email address will be accepted. Click on each button to get to a different clue. There are a lot of prizes to give away. We will randomly give away the prizes among the people who answer all 10 clues correctly. Entries must be received by September 15th, 2009. Only one entry per email address will be accepted. Smart Mom Jewelry is pretty and practical. 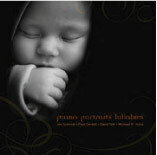 Teething Bling was inspired by babies who like to tug on our jewelry. It is the original patent-pending teething jewelry. 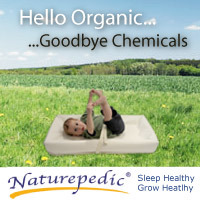 The Naturepedic No-Compromise Waterproof Crib Pad is lightweight and highly versatile. It should be placed under the sheet and is easy to change and pack when traveling. It provides an excellent alternative to vinyl and latex rubber. What is a Zoobie? A cuddly, plush animal, a soft comfy pillow, and a cozy, warm blanket. 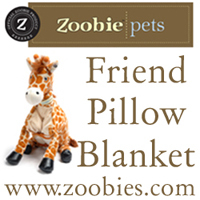 Zoobies are the perfect childhood companion. Michael Hicks, Jon Schmidt, Paul Cardall, and David Tolk form a follow-up album to Piano Portraits called Piano Portraits Lullaby. 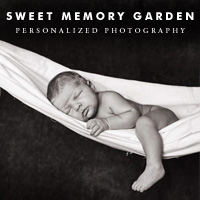 This CD is an amazingly beautiful and peaceful collection of newly recorded traditional lullabies and previously recorded originals. Give the gift of a luxury shower and bath! Our Foaming Bath Butter will delight the senses with its smooth cake icing texture and moisturize your skin with sweet almond oil. Then, our Essential Sugar Scrub will reveal a new, smooth glow with natural sugar in a mineral base. 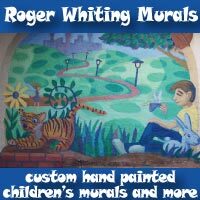 Give your child the ideal bedroom with an authentic hand painted Roger Whiting mural or other accessory.